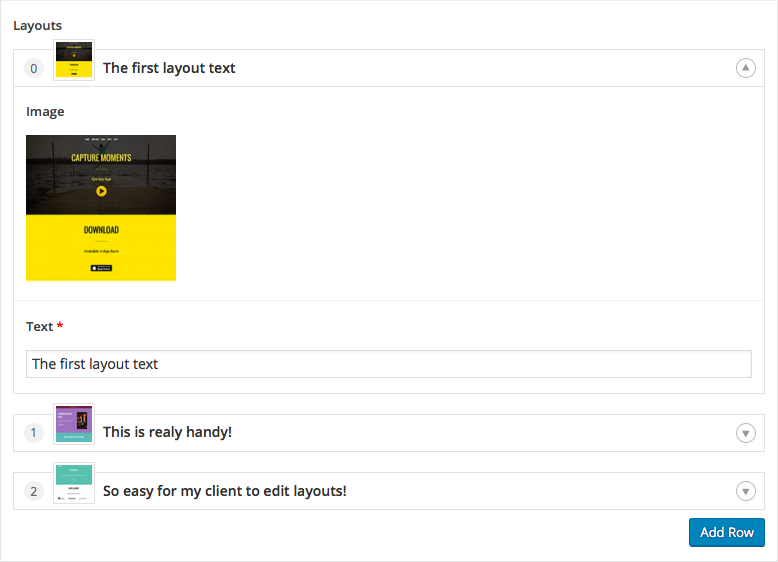 This filter allows you to modify the text (HTML) displayed at the top of each flexible content layout. All sub field functions are available within this filter to load and display values. This filter is also run via AJAX when the layout is toggled open or closed. Here is a before/after example to show how this filter can be used to improve your client’s experience. All sub field functions are available within this filter to load and display values. Please read up on the get_sub_field() function to see some examples of loading sub field values. There are 3 ways to hook into this filter.